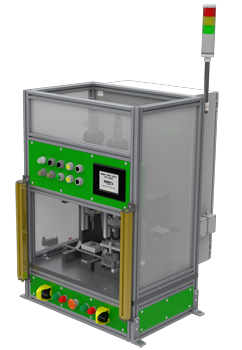 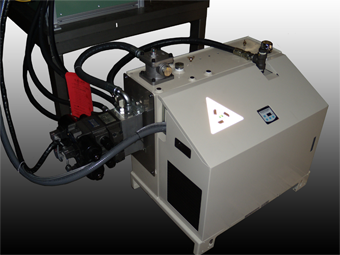 To accommodate both press operations, Descher designed and fabricated a one-ton dual-head hydraulic press machine on its standard medium-duty press frame. 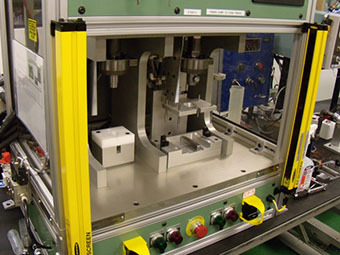 Modular nest tooling and custom alignment jigs were developed to ensure proper gear-tooth alignment between the pinion and the various transmission cases. 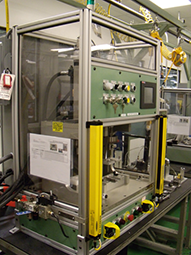 Descher worked with the customer’s engineers to conduct load analyses on the assembly operation, and a nominal press force vs. depth profile was developed. 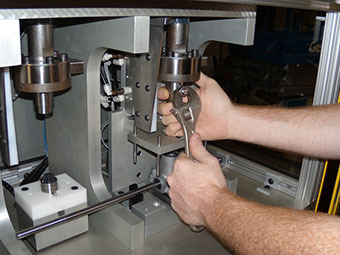 Utilizing force and stroke feedback, the team customized a standard Descher operator interface to enable precise assembly tolerance sets and press go/no-go monitoring.